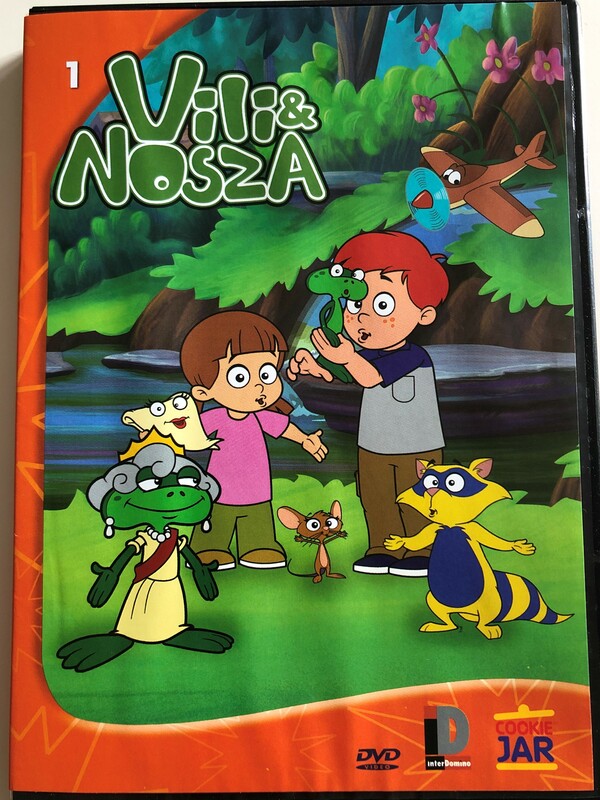 Will and Dewitt is an American-Canadian animated television series featuring an anthropomorphic frog named Dewitt, and a boy named Will as the main characters. It is produced by Cookie Jar Entertainment and Two Presidents Productions. It first aired on September 22, 2007 on The CW and YTV. The series revolves around Dewitt motivating Will to accomplish difficult tasks. 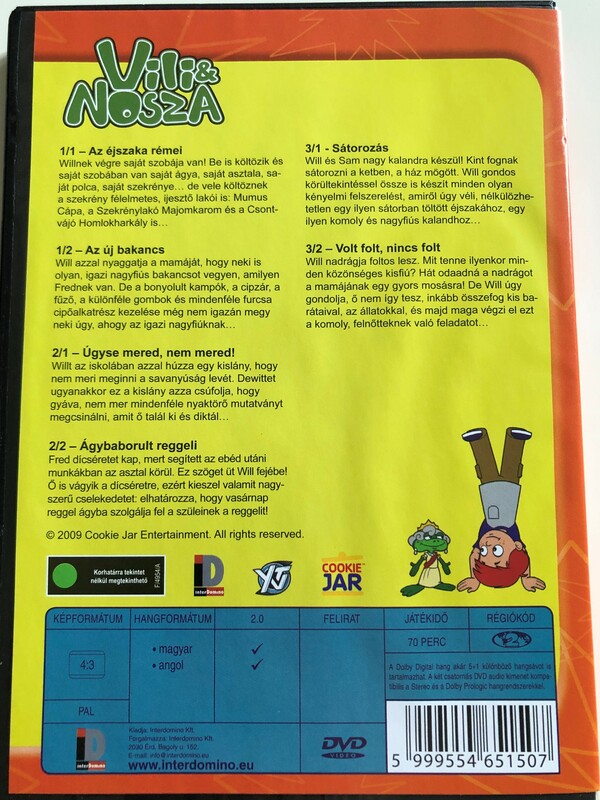 Humor, zene és sok-sok játék segítségével elevenedik meg a 6 és fél éves Vili küzdelme a mindennapokkal, hiszen egy kisgyerek azt hiszi, hogy sokkal több dolog van az életben, amit nem tud megtenni, mint amit meg tud. Segítségére van legjobb barátja, Nosza, az általa kitalált kisbéka, aki mindig megmutatja neki a helyes irányt és azt, hogy még egy kisgyerek is bármire képes, csak akarnia kell. 2/1 "Double Frog Dare" / Úgyse mered, nem mered! Will is a 7 year old fun loving, shy and light-hearted boy. He has red hair and a sister named Kate. He also has a frog named Dewitt. Will is voiced by Connor Price. Dewitt is an anthropomorphic frog who can morph into any shape or size, usually as a visual aid to a joke he has just made. He is also a skilled impersonator. In each episode, he gives Will the support and motivation he needs to get through the challenges before him. Dewitt originally appeared and continues to appear on the packaging of Procter & Gamble's Kandoo personal care products. The frog pre-dated the television series and was named Dewitt upon its creation. Dewitt is voiced by Richard Ian Cox. Will's 10 year old older brother who thinks he's better than him. Fred is voiced by Billy Rosemberg. Will's 4 year old little sister who likes animals. She can get in the way of Will's challenges. Kate is voiced by Nissae Isen. Will's friend and sometimes rival Sandy is a recess and lunch time friend of Will and Sam. Mom & Dad are always nearby and ready to lend a hand if their kids needs it. They are fun, understanding and supportive. Mom is voiced by Katie Griffin. Dad is voiced by Richard Binsley. Will's best friend, who is also a fan of Frogboy. He has dark skin and wears glasses. He's also good at telling jokes. Sam is voiced by London Angelis. These characters help Will & Dewitt with their challenges by singing about them. Click the button below to add the Will & Dewitt DVD 2009 Vili & Nosza / D'Angelo-Bullock-Allen Productions / Cookie Jar Entertainment / Disc 1 / 6 episodes to your wish list.